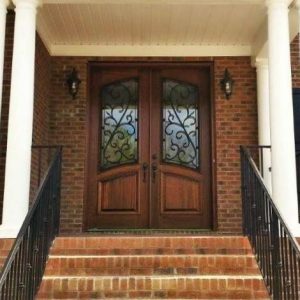 Are you considering a new door, but aren’t sure if it’s worth it? We understand that the cost of anything demands reason. That’s why we want to ensure you that a door will give you a dramatic return on investment. Not just in the obvious method such as security, but in a multitude of other unique ways. Our blog today will seek to review all of the benefits a door offers, and show how a new door can improve the comfort of your home. We’ve learned that the more comfortable you are, the better a house can become a home. One of the first ways you can find comfort is in the knowledge that the new door you selected makes your home look amazing. Just by adding a reliable and stylish door it can bring to life the surrounding area. A door is a focal point, and if it harmonizes and complements with the house, it will be so enjoyable to look at. 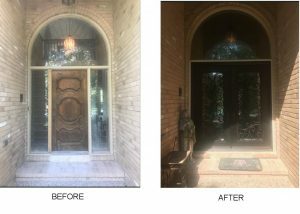 Our customers rest easy knowing their doors are some of the most beautiful on the block. When you’re looking for comfort, many find it in the regulation of temperature in their home. If it’s a hot day, you’ll want a colder home. Alternatively, you’d expect to keep your house warm and cozy during the winter time. That’s why our doors are made with components that make them very good insulators. If you have to pay more for air-conditioning because the doors are leaking air, it can cause a lot of stress. At Southern Front, we can optimize your energy costs by helping your residency hold temperature better. A good door that has features which offer top of the line protection, style and longevity are very effective. They will ensure that the house can be appreciated, without jeopardizing the aesthetics. On the other hand, a beautiful door will also excite and entice new buyers. Research has shown that there can be 80-100% returns on your new door investments. We all know that one of the most tedious things about the property we own is the upkeep. Often times it can be expensive and overwhelming, especially if you have to keep a watchful eye over it. In many cases, doors represent a weak link in the chain as they may lack protectionary measures that you have to account for. 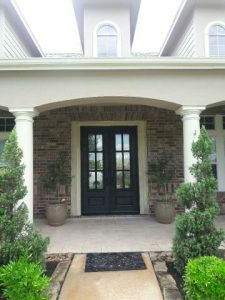 Our doors, however, go above and beyond in features that keep its appeal and enhance its durabilities such as adding rot resistance and Storm certifications. Contact Us And Increase The Comfort Of Your Home Now! At Southern Front, the most important detail for us is the customer’s satisfaction. We want them to feel happier from the addition of their new door. While the style and design can take their breath away, we want to ensure they stay amazed. This is why our doors offer so many features that make life easier on you. Our customers are our number one priority and we hope it shows in our doors!